Sending you joyful hugs. Happy Easter image with a cute bunny and a bouquet of tulips in a bucket. 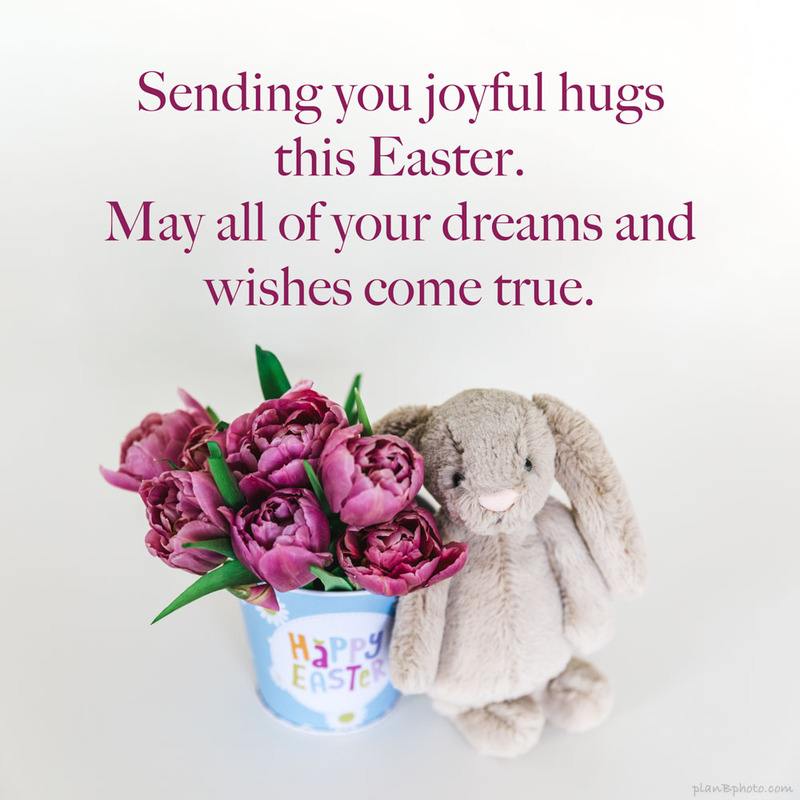 Simple minimalist white background with a beautiful Easter wish. Download this Easter card for free and send it to someone special. Find the best Happy Easter images with cute bunnies, peeps and short wishes. Download the Easter greetings card for free or send them to someone special through Instagram or other social media. Browse our large collection of high quality photos and backgrounds and choose the one that is right for you. Enjoy!